Dear Visitor — We invite you to enjoy a ride through “A Brief History of Telecommunications”. Copy and paste the code below to add this inforgraphic to your website. Humans are naturally very social beings and the way we communicate is vital aspect of our lives. More importantly, communicating over long distances is something that people once struggled with, but thanks to recent advances in technology, it is much easier for us today. Where we once relied on smoke signals and even carrier pigeons, we have many more options now. During the 1800s, there was a rush among inventors to develop newer and better ways to allow long distance and mass communication. Writing a letter is a form of communication that has persisted despite all of the high-speed technologies available today. However, the way it is delivered has changed a great deal over the years. As far back as the early 1800s, letters were delivered by messengers. In cities, quite often a servant from a family’s household was sent to deliver a letter on foot and sometimes they would even wait at the recipient’s house or place of business to take the answering letter back with them. Longer distances were conquered by sending a messenger on horseback. By 1837, a British schoolteacher named Rowland Hill came up with the idea of postage stamps, and this gave birth to postal system. Today we can even send letters by air or by sea within a few days, where without modern sorting and shipping techniques, it would have otherwise taken months. Today’s younger generations tend to be less familiar with the act of writing a letter and even refer to it as snail mail. The U.S. Postal Service has confirmed that their mail volume decreased by around twenty percent between 2006 and 2010. However, many businesses and private citizens still use it as a more formal means of communication. Letter writing was still the exclusive mean of written communication well into the first few decades of the 1800s, although by that time a few inventors had started dabbling with primitive prototypes of a telegraph. One man, Samuel Morse, who was actually working as a painter at the time, received a letter that his wife was fatally ill. In the time it took for him to receive the letter and then return home from her, she had already passed away. Driven by the inefficiency of hand-delivered letters, Morse worked hard on developing an electromagnetic telegraph system. More importantly, he also developed a system of communicating through this machine. 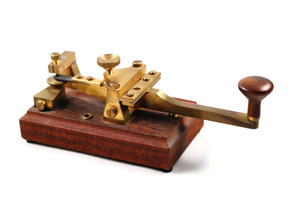 It was known as Morse code and consisted of a series of coded dots and dashes that corresponded with the alphabet. After patenting his invention, telegrams soon became quite popular as a way of delivering short amounts of information quickly and across long distances. The telegraph became even more important when it was heavily used during the Second World War. The history of the printing press dates back to the 1400s, when Johannes Guternberg created a model based on primitive versions already in use. His printing press used removable metal letters that could be rearranged to create blocks of text. Before that, people had to pen texts by hand, which was an extremely laborious process. During the Renaissance, commercial printing presses could churn out almost 4,000 pages each day. Before the printing press, books were highly valued and treasured objects. Many families would only have one book in their homes: the Bible. The printing press allowed people to access books and pamphlets for far lower prices, helping to educate them and introduce them to new ideas. Johannes Gutenberg’s first creation using his new press was a copy of the bible; an extremely famous version that is known as the Gutenberg Bible. Since his time, printing presses have evolved into more sophisticated versions, but they are still used for the same reasons to distribute news and literature on a mass scale. After the telegraph was invented, others continued to experiment with electromagnets and their potential in telecommunication devices. With so many active inventors sharing ideas and developing machines with overlapping concepts, there is some dispute as to the original inventor of the telephone. However in 1876, one man, Alexander Graham Bell, did succeed legally by securing a patent for his version of the telephone, and so he is remembered best in association with this invention. Several decades earlier, telephone-type devices required the listener to speak and listen through the same piece. Later, the phone evolved into a device where the listener had to hold one piece to their ear and speak into the main phone unit. A later version, the model with which we are more familiar with today, included both earpiece and mouth piece on one handle. Many telephone operators were also later replaced by self-dialing systems. Fun fact: Conference Calls Unlimited was one of the first conference call providers on the Internet. We’ve been online since 1998! After the invention of the telegraph, some inventors started attempting ways to create a wireless version of the same machine. In doing so, they learned how to generate and use radio waves. In turn, this helped to develop the radio. It was a Serbian-American engineer named Nikola Tesla who first started publicly experimenting with radio frequencies and transmission. In 1897, he got a patent for his invention and explored ways to use radios for communication. Later, other companies and inventors came up with variations of the radio using different technology. The first long radio broadcast only came in 1916, from Tufts University. As more and more radio stations cropped up across the country, organizations were set up to help regulate the content that was broadcast. Today the radio is used to deliver news and entertainment, and it is still used as a communication device in many industries. Before television, people relied on radio and live entertainment to amuse themselves. From the late 1800s, a few inventors had been experimenting with displaying images on a screen. It was a Scottish man named John Logie Baird who was successful in showing moving images on a screen in 1925. Compared to today’s high-tech sets, Baird’s invention was quite slow, showing only about twelve frames per minute, but it was remarkable nonetheless. Several others continued to improve on his original design. The cathode ray tube was used to create better output on screens. The first TV images were halftones, and then black and white, before color was finally introduced in 1953. Television continues to rule many living rooms across the world and we have far more to choose from in terms of sizes, models and even channels. 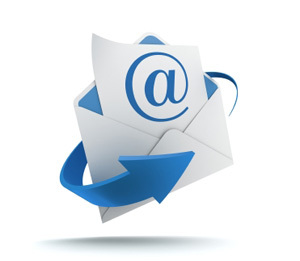 Even before the Internet was fully evolved, electronic mail had been developed in the 1970s as a way to send messages from one computer to another. In the early days, both users had to be online at the same time in order to send and receive messages through a central system. It was a computer network called ARPANET that largely contributed to the development of email. In 1971, the first email was sent by Ray Tomlinson, an American programmer. Instead of only being able to send text messages, we can also transfer multimedia and other attachments as well. Through the 1990s, email quickly caught on as the quick, new way to communicate. While email is still one of the main means of modern communication methods, it is facing some competition from instant messaging and social media services. In the 1970s, a researcher at Motorola named Martin Cooper began working on portable communication devices. In 1973, he developed a type of mobile phone. It was a large, clunky prototype, now colloquially referred to as “the brick” for its awkward size and shape. For the next couple of decades, the main aim of many cell phone manufacturers was to make phones that were smaller and sleeker. With digital cell phones, new options were added, such as the ability to store phone numbers, change ring tones and even play games. In recent years, this has given way to smart phones. These devices combine computing power into a cell phone, giving the user Internet access and basic computer functionality all in a pocket-sized cell phone. Advancement in communication at first progressed quite slowly. In the beginning communication was limited to the short distance a person (or carrier pigeon) could travel. In addition to distance, communication was limited by the amount of time it took to get a message from one place to another. Can you imagine how long it took to send letters across the ocean by sail boat? For a very long time this was the most effective form of communication available. In the 1800’s there was an explosion in the ways we communicated globally. Telegraphs, radio and telephones made a dramatic difference in how information can be conveyed. In recent years we have seen another boom in communication. With new technology we are now able to communicate across the globe (and even into space) almost instantaneously.